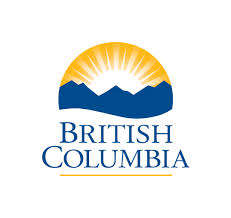 OSOYOOS - The provincial government is inviting British Columbians to provide feedback on an intentions paper proposing how land might be protected in the South Okanagan. As a result of discussions with First Nations and stakeholders, the Province is proposing a land protection framework based on five key principles. The proposed policies in this paper apply to three distinct areas in the region. The provincial government is proposing Area 1 and Area 3 be considered by Parks Canada for inclusion in a South Okanagan National Park Reserve and Area 2 be protected as a conservancy under provincial legislation, the Park Act. Area 1 - Portions of the area west of Osoyoos towards the Similkameen River, and south of Highway 3 to the U.S. border including the Osoyoos Desert Centre, Spotted Lake and South Okanagan Grasslands Protected Area sites of East and West Chopaka and South Kilpoola. Area 2 - Portions of the area west of Oliver towards Cawston, and north of Highway 3 to the southerly extent of the White Lake Grasslands Protected Area. Area 3 - Portions of the White Lake basin area south of Okanagan Falls and including areas in the vicinity of Vaseux Lake and the White Lake Grasslands Protected Area. A number of factors will be considered when developing the final policy including: protection of First Nations values and cultural sites, expansion of tourism (including aboriginal tourism), protection of species-at-risk, recreational activities, agricultural activities and protection of ranching and existing grazing tenures. The public has a 60-day period to provide comments on the intentions paper with final responses due by October 12, 2015. BC Parks will review the feedback and publicly post a Consultation Report along with final recommendations in early 2016. "The government is committed to exploring a variety of options so we can satisfy the varying interests in this diverse region. Our intent with these proposals is to protect significant geographic and cultural values, while providing recreation and tourism opportunities - and we look forward to receiving comments on this paper." "The South Okanagan is a special and unique region that our government is committed to protecting. I encourage my constituents and all British Columbians to provide feedback and let us know what values are most important to them as we move forward with our proposal."